A flame of red petals, the Amaryllis is a flower of romantic legend. In Greek mythology Amaryllis was a love-struck young girl who fell in love with a shepherd, Alteo, who didn’t return her affections. Desperate to win his heart, she sought advice from the oracle of Delphi on how she could win him over by giving him what he most desired – a unique and beautiful flower. Under the oracle’s instruction she walked to the door of Alteo’s cottage every night for 30 days where she pierced her heart with a golden arrow. On the final day Alteo opened the door. He saw a blossoming scarlet flower where Amaryllis’s blood had fallen and her heart was healed. These enchanting flowers are unusual in that the outer part of the flower, the spathe, is not a large petal but in fact is a modified leaf. This design makes them incredibly hardy plants. The various colours of the leaves, which can be white, pink, purple, yellow and even black. This gives a delicate and elegant appearance. Indeed, the fine, trumpet-like structure is so attractive the flowers were named after the Greek word for beautiful – calla. Their striking form make them a wonderful choice to add structure to any autumn display. If you are looking to inject a bright, splash of colour into your floral displays for autumn you can’t beat the fabulous leucospernum. Known sometimes as the pin-cushion because of the cluster of tiny flowers that make up each stem. The leucospernum can look like a bright explosion of mini-fireworks. If you look closely each flower head resembles a small beating heart. Hence adding an extra spark of passion as a wedding choice! Aesthetically, the multiple-strands in the head of each stem also add textural interest to any display. The hypericum, sometimes known as St. John’s Wort, is a hardy and versatile plant with a variety of medicinal and decorative uses. For autumn floral displays its clusters of berries add a burst of colour which look fabulous in autumn bouquets. The berries come in a passionate flame red, and a variety of other colours, therefore making them an excellent choice for autumn across a wide range of tonal choices. Other colours include orange, pink, brown, purple and white. All of which work well with a warming, autumn wedding theme. A list of the Top 7 autumn weddings flowers isn’t complete without Hydrangea. At this time of year, the thirsty hydrangea lasts longer in floral displays and its large-headed blooms are a fabulous choice for a statement piece. 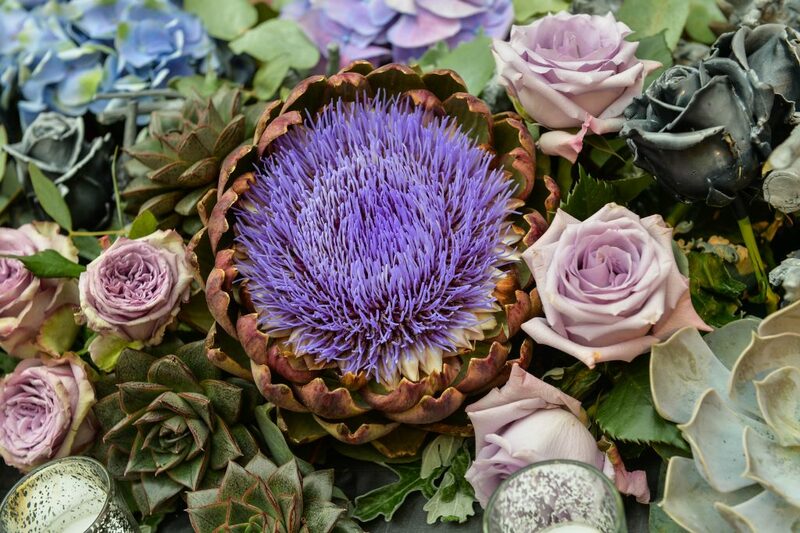 It’s large headed blooms also come in a variety of warming tones and on-trend colours for the season, including rich burgundy, deep purple and dusky pink. The ultimate floral symbol of romance. The rose is a delicate, fragrant and beautiful choice for weddings at any time of year. A versatile choice because of the many varieties, although in autumn the traditional romantic rich red is a passionate favourite. And it’s not just bouquets and displays where roses are wonderful choices. Add an extra touch of romance. 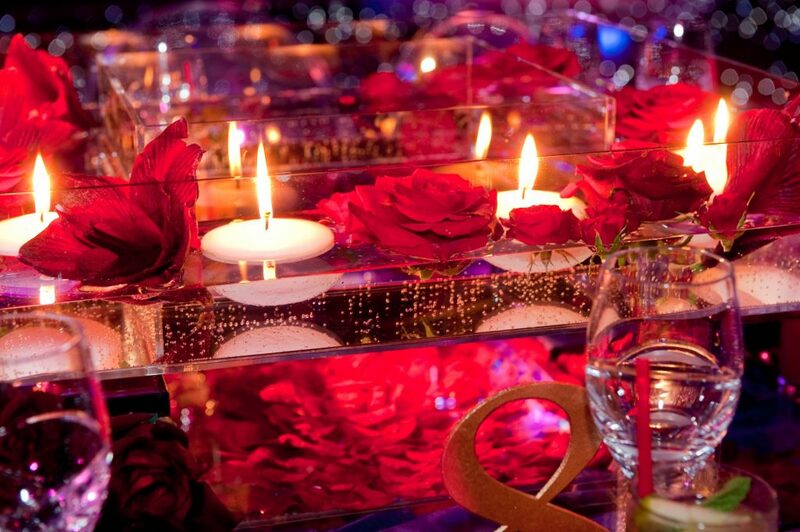 Sprinkle autumnal coloured rose petals alongside LED candles on tables and walkways. Good things come to those who wait. 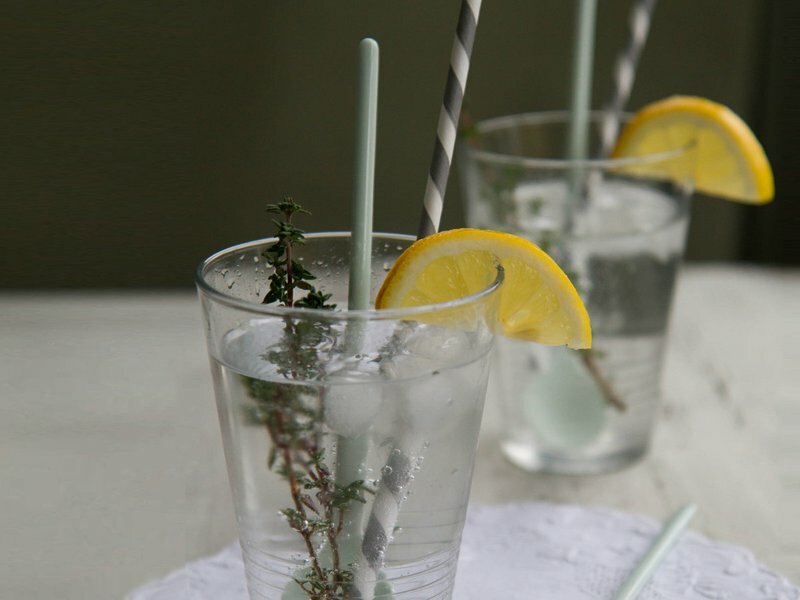 And for those of you willing to invest a little time in preparation, this refreshing long-drink, created by world-famous chef, Jean-Georges Vongerichten is well worth it. The time-consuming part is making the lemon-thyme syrup. Mixing the ingredients over a saucepan takes only ten minutes. To bring out the best flavours though, the syrup is best left to stand overnight or at least two hours. Once made, however, it will stay fresh for up to five days. Shake with ice and vodka, before serving in a highball glass, topped with soda. Garnish with a fresh thyme sprig for a sensational, seasonal treat. Visit foodandwine.com for details. For rum lovers, the rich, deep and luxurious flavour of Dictador is a pleasure to be savoured. Produced in the beautiful UNESCO World Heritage Site of Cartagena, Colombia, the rum has a romantic origin. The company has created a drink book to spark ideas for how to enjoy its luxury brand. Our favourite is Deep Pleasure. A delicious combination of Dictador, Luxardo Maraschino liqueur and fresh pineapple chunks. It makes a rich and fruity choice for a Spring/Summer evening. You should download this and other recipes from www.dictador.com. Third on our list of five al fresco party cocktails, is a cool one. When the temperatures soar (we hope), nothing satisfies like a frozen cocktail. Striking for its lime-green colour, this icy delight combines the cooling flavours of cucumber, melon and lemon and spices it up with a splash of gin. 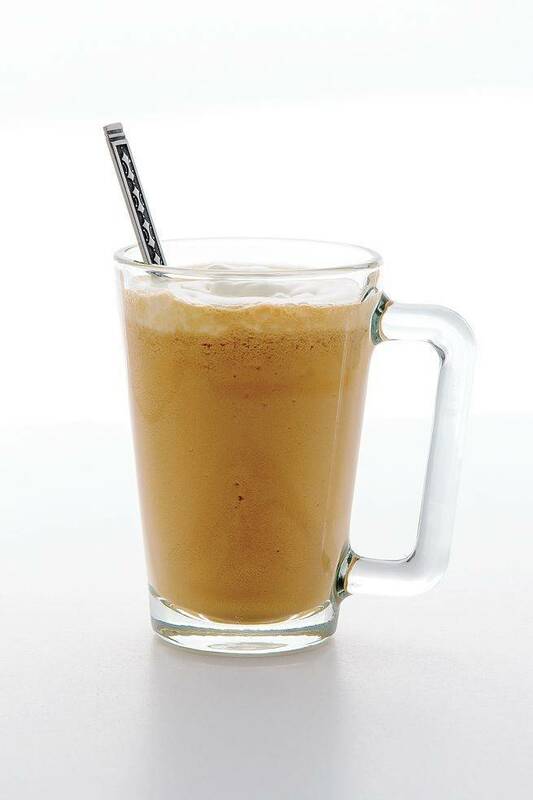 Blended with honey and ice it is sweetly refreshing. Serve in a wine class, lightly coated with sweet fennel salt and a wedge of lime. See foodandwine.com for the recipe. From frozen delights to comforting warmers, when it comes to British Spring/Summer time we need to be prepared for any weather. Across the Atlantic, bar tender, Isaac Shumway from Tosca Café in San Francisco has come up with the perfect solution to heat up a damp and drizzly evening. His hot version of a White Russian swaps the traditional vodka base for brandy, mixing with coffee liqueur, coffee syrup and cream. Top with frothed milk. Delicious! See Saveur.com for details. Often we spend so long crafting our show-stopping mixes that as a result, our alcohol-free guests are left with few interesting choices on the drinks menu. Thankfully celebrity chef, James Martin has stepped in to save the day for all those resigned to an evening of orange juice or water. 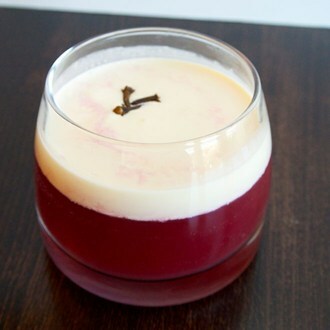 His orange and cranberry spritz is a long, cooling option that takes only five minutes to prepare. A quick mix of orange juice, cranberry juice and sparkling elderflower, serves up a sophisticated fruity fizz. See BBC Good Food for details. If you love our five al fresco party cocktails, take a look at this PARTY for ideas and inspiration on how to style your party! Since announcing their engagement in November, the wedding of Prince Harry and Meghan Markle has captured the attention of event planners around the world. And with good reason. Here’s our take on those Royal Wedding trends we can look forward to seeing. Think of the biggest bridal show in the world. It doesn’t come close to the influence of the forthcoming Royal nuptials. Whatever the size of your business, I guarantee the Royal party will spark trends to influence your work for years to come. Any newcomers to the business? Look back seven years to the wedding of Prince William and Kate Middleton to see how the Royal effect impacts wedding trends at all levels of society. When Kate walked down the aisle wearing a stunning, lace wedding dress designed by Sarah Burton for Alexander McQueen, not only did lace become a popular choice for brides, the look also sparked a trend for using the fabric in table décor and room design. Approximately 2 billion people across 180 countries, tuned-in to watch the Royal ceremony in April 2011. And judging by the public’s insatiable interest Prince Harry and Meghan Markle, we can expect this ceremony to be equally popular with viewers not only in the couple’s home countries of UK and US, but around the world. When so many eyes are watching, as event planners we need to make sure we are watching closer than most. I can guarantee within a day we will be answering questions about how to create a similar effect to some aspect of the day. So, what future trends should event planners be looking out for to stay ahead of the game? As event planners we need to devour every piece of new information being drip-fed from the Palace on the run-up to the event. The couple’s decision not to invite heads of state could impact on the traditionally dictated guest lists of couples everywhere. We know too that the cake will be organic lemon and elderflower wedding cake instead of the traditional fruitcake. So prepare to answer questions about the costings of similar cakes and how long they stay fresh etc. There’ll be a fairy-tale influence as the couple travel around Windsor in an Ascot Landau horse-drawn carriage. There’s also a modern environmental touch. Seasonal plants have been chosen for their attraction to pollinating bees. The choice of flowers for Meghan’s bouquet is still a closely guarded secret. The Duchess of Cambridge started a trend for simple, understated white bouquets. Her home-grown mix of lily-of-the-valley, white myrtle, and hyacinth. Will Meghan follow suit? Who knows, but whatever throws in the air on May 19, all event planners need to be ready to catch. BBC’s Breakfast TV has made the Piazza, Media City an instantly recognisable spot up and down the country. For big outdoor events this space definitely has the wow factor. 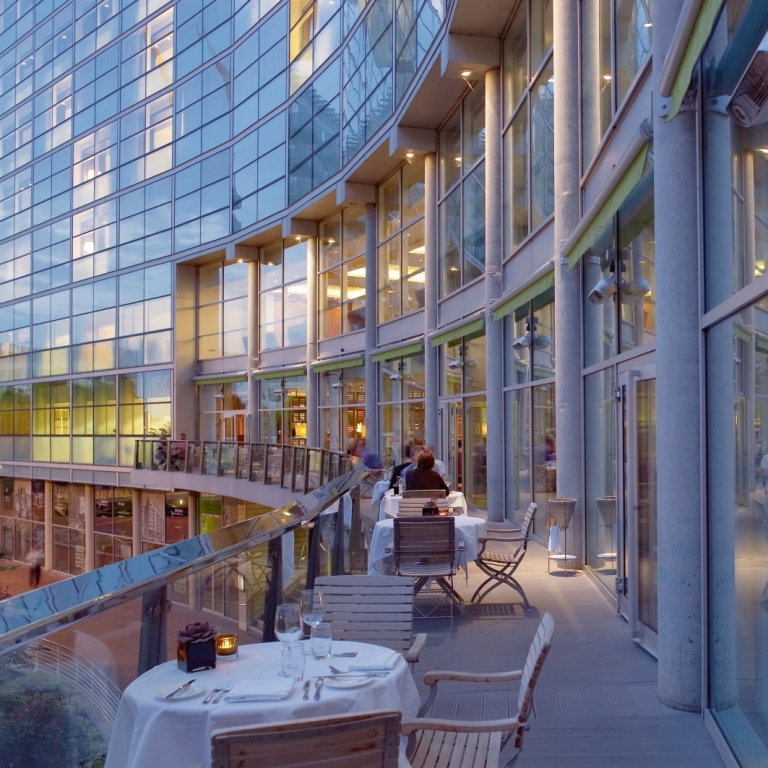 It offers uninterrupted views across the water to an impressive skyline taking in the unique architecture of the Lowry Theatre and Imperial War Museum North. This large, flexible space directly outside the BBC’s northern headquarters, can comfortably host up to 6000 guests. And if you want to inject a further media feel to your event, there is the option to broadcast over a large double-sided outdoor screen overlooking the piazza. Summer is when the Castlefield Bowl really comes to life as venue for outdoor concerts in the city. Upcoming gigs include Shed Seven, Paul Heaton and Jacqui Abbott, and The Levellers. The venue, with its purpose-built stage, large dance space and tiered seating makes it an excellent space for small scale festivals. Located on Liverpool Road it is a discreet and secure outdoor space in the heart of the city. With a capacity of up to 8000 people, for a big party atmosphere it can’t be beaten. 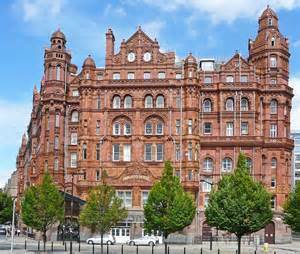 The impressive red-brick of the Midland Hotel has been a centre-piece of Manchester’s architectural heritage and cultural life for more than a century. Built in 1903, this Edwardian Baroque-style, Grade II listed building has seen the start of many enduring partnerships. Without it we may not have the magnificent wedding cars from Rolls Royce. Or in more recent times the celebrity phenomenon that is Posh and Becks. It is a fitting place for any couple to start their married life together. Here, every guest gets the VIP treatment. For weddings a red carpet is laid out at the front of the hotel for arrival. 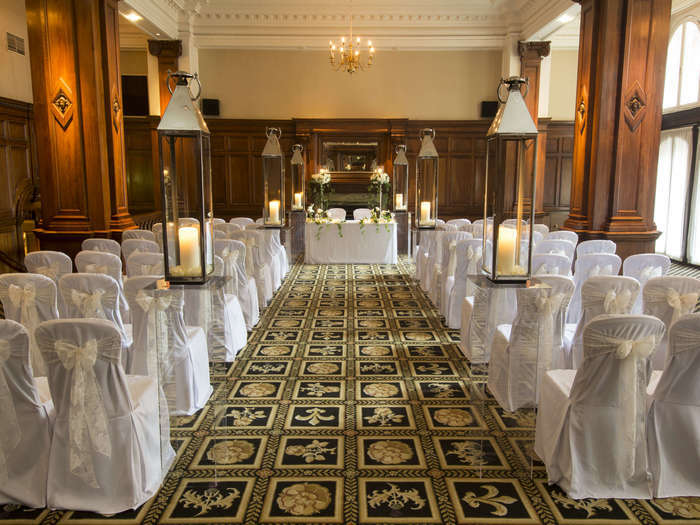 All four suites at The Midland are licensed to offer Civil Ceremonies, and the hotel has a dance floor, bar license and music license until 1.00am. Bespoke services are available as well as packages including tailored features for Jewish and Asian weddings. Stepping back into the city’s history even further, a taste of medieval Manchester awaits in Chetham’s Library. 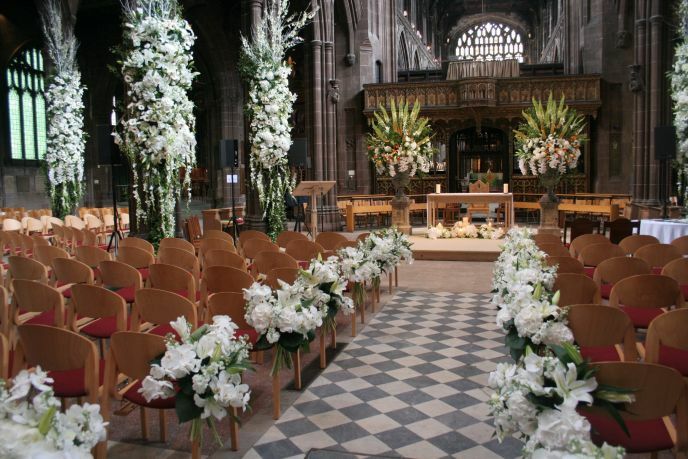 Dating back to 1421, Chetham’s is bursting with authentic character, to add gravitas to any ceremony. Take your vows under the timber roof of the majestic Baronial Hall. Walk hand-in-hand down the ancient stone cloisters. Capture your memories with photographs by the inglenook fire places and oak-panelled rooms. As well as the building’s beauty it also holds an intriguing history. It is the place where Marx and Engels studied together in the city. For those wanting to soak up the atmosphere of the library setting, you can opt to sign the marriage register or have the ceremony itself in the seventeenth-century interior of Chetham’s Library. Designed by Edwin Lutyens in 1928, this art deco style listed building at the top of King Street still oozes all the glamour of the Roaring Twenties. There is a nod to its former life as a bank, with thick, polished wooden counters; money-bag laundry sacks and upside-down brief-cases as light fittings in the bar. The history of the venue provides plenty of opportunities for stylist photos reminiscent of a golden age when fashion and travel were freed from the wartime restrictions. Staff look dapper. They wear chalk-striped, flannel suits with pink braces and arm bands, designed in New York. While vintage suitcases and hat boxes add a true period feel. 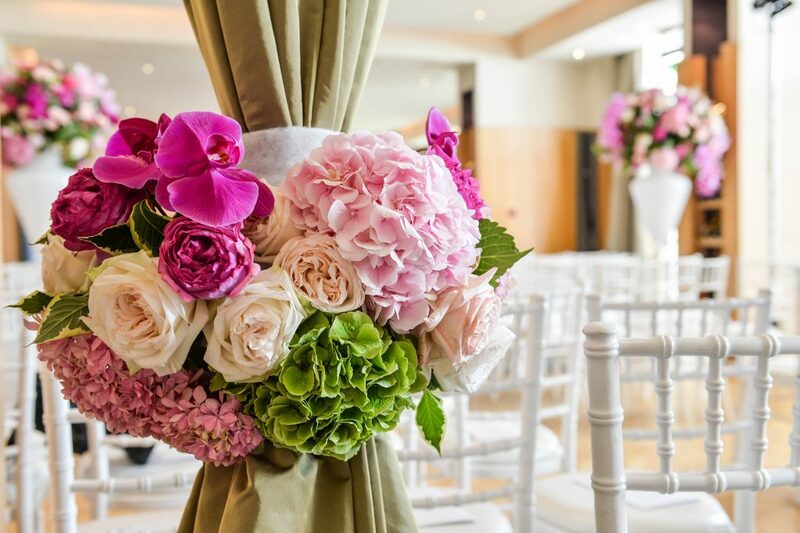 The hotel offers a bespoke wedding service that can cater for celebrations from small private events to the exclusive use of the hotel and its 60 bedrooms. And, although it doesn’t have a wedding license, it’s only a stone’s throw away from Manchester’s Registry office. Once home to the cotton factories of the Industrial Revolution, Ancoats, in the north of the city, has undergone major regeneration in recent years. Standing at its centre since 1858 is the iconic semi-circular apse of St Peter’s Church. A parish church for more than 100 years. The church closed in 1960 as the result of a dwindling population in the area. After sitting empty for decades, the building was purchased by the Hallé. With the help of various heritage funding, it has been restored it to its former glory. Now used for concerts and theatre shows. It was the site of Manchester International Festival’s award-winning production of Macbeth with Kenneth Branagh . However, you can also use the venue for weddings. This deconsecrated church has been transformed into an elegant venue. It maintains its high ceilings and many unique original features. Accommodating parties of between 50 and 250 guests, it is a beautiful and versatile setting which captures the city’s industrial heart and heritage. 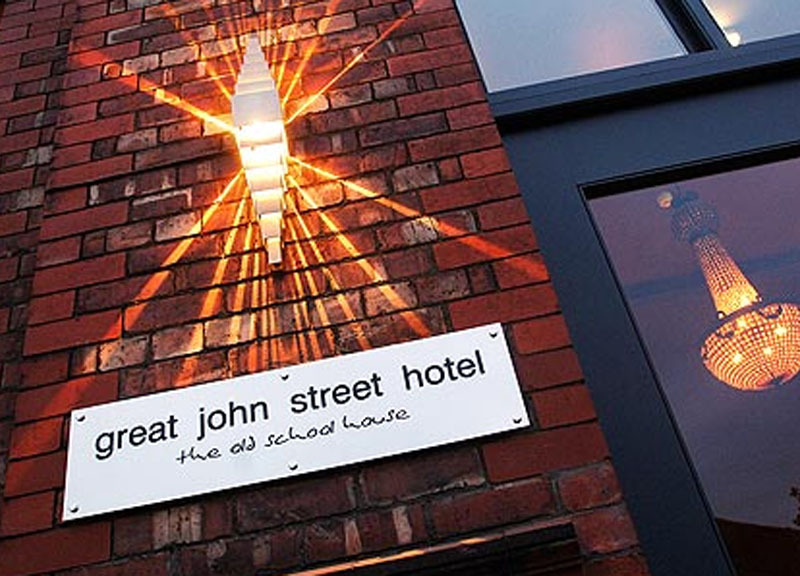 Last, but not least, on our list of top five historic Manchester wedding venues is Great John Street. For childhood sweethearts and young at heart alike, you can’t beat this old Victorian school house for sweeping you off your feet in an adolescent swirl. Right in the heart of the city, this impressive red-brick building has been lovingly transformed into a luxury townhouse hotel. From the moment you step through the entrance, under a showpiece chandelier towards its opulent pewter bar, you’re in a charming world. It has been uniquely designed to capture the fun elements of its heritage. 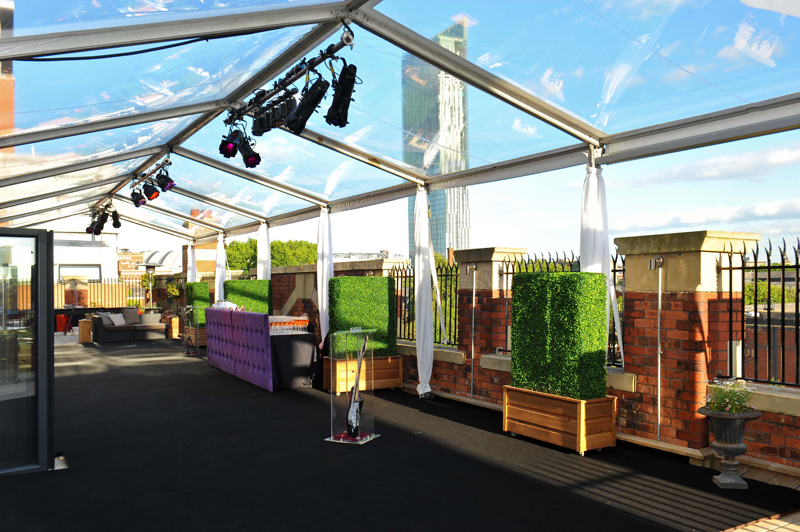 The once rooftop playground, keeps its same name, now an outdoor terrace for private hire. You can host wedding receptions for up to 120 guests. Most rooms, including the old Headmaster’s office, are licensed for civil ceremonies. And just like the old school, the playground is open in all seasons, for an outdoor wedding BBQ or hog roast. Mexico’s miles of white sandy beaches, clear azure waters, and expansive starlit skies are a perfect recipe for romance. That’s what makes it the ideal location for this year’s Destination Wedding Planners Congress, where I am a guest speaker. Its also perfect if you’re looking for a dream destination wedding! Here are five luxury Mexican wedding venues; all are just perfect for you to tie-the-knot in Mexico. Situated on the east coast of the Baja Peninsula, Cabo Azul Resort is the perfect beach destination wedding, covering 12 oceanfront acres on an azure bay. However, a beach ceremony is only one of a variety of wedding locations available at this luxury resort. For those looking for a more traditional ceremony, but in warmer climes, the venue’s El Corazon chapel, with its intricate wood carvings and white marble aisle, is a stunning choice. As well as its romantic candle-lit water walls, the chapel also has an open wall at the back. Hence, you can take your vows overlooking the deep blue waters of the Sea of Cortez. If you would like your big day to be influenced by Mayan history away from the main tourist crowd, Campeche, in southeast Mexico, could be the destination for you. The city, a beautiful example of colonial baroque city planning, is also a UNESCO World Heritage Site. 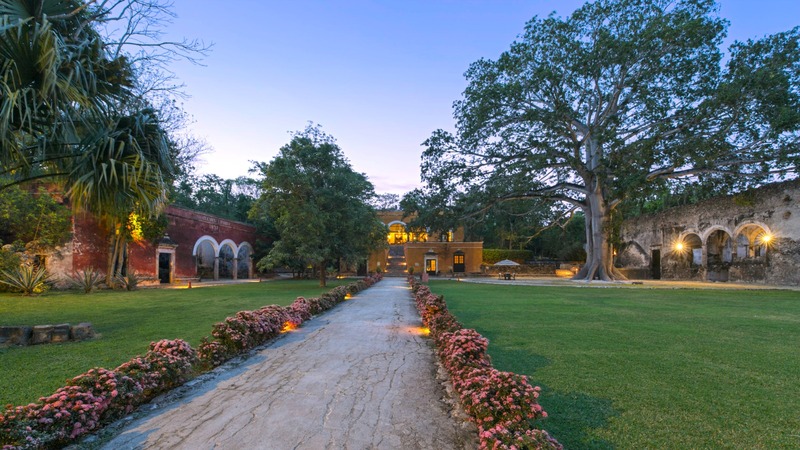 The Hacienda Uayamon dates back to 1700. It is set within 500 acres of private gardens, with jungle views. Other unique features include exchanging vows in the ruin of an ancient chapel and dining under the canopy of a 150-year-old Ceiba tree. This peaceful and expansive setting can host events for up to 700 people. 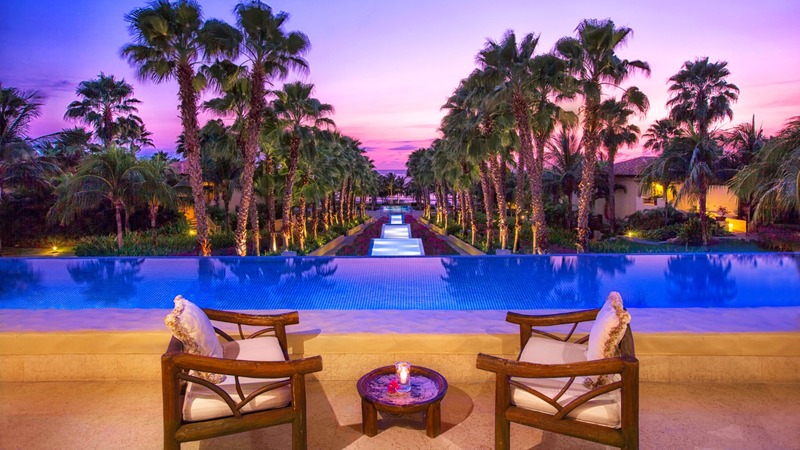 Number three on our list of five luxury Mexican wedding venues is part of the group, Small Luxury Hotels of the World. The Chablé Resort and Spa is nestled deep in the Mayan forest in Mexico’s Yucatán Peninsula. It is a beautiful, relaxing setting for a group celebration with 40 rooms across a number of private villas dotted around the 750-acre resort. The stone design is in keeping with the ancient Mayan temples in the region. Inside all the villas are equipped with the latest technology, and private pools. 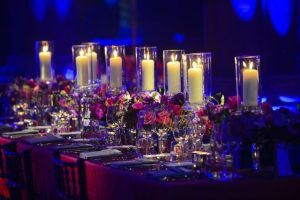 Aside from the lush, tropical garden setting, other reasons to choose this venue for your big day include the use of your own presidential estate or 19th century restored manor house; lanterns for romantic starlight dips; and staying in the home of the world’s largest private collection of tequila. A luxury, adult-only resort, located on the beach-front of the popular Cancun area of Mexico, Le Blanc is not the type of accommodation you might normally associate with an all-inclusive resort. 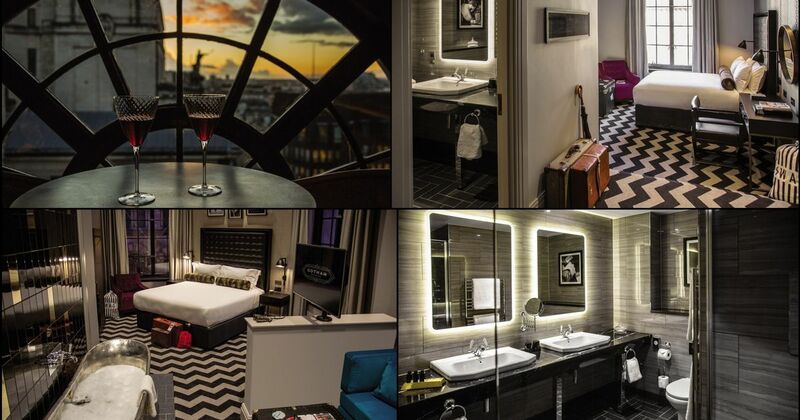 A stay includes luxury, spacious accommodation with a double whirlpool tub in every room; fine dining; and butler service. Add to this walks along the white sand beaches, beside the azure ocean waters, and relaxing in the hotel’s infinity pools overlooking the sea. You’ve got all the ingredients for your own romantic fairy-tale. Noteworthy, the resort organises complimentary wedding packages for between 8 and 25 guests, staying a minimum of 4 nights. Lastly on our list of five luxury Mexican wedding venues is Nayarit. On the western coast of Mexico, has an enviable setting between the Pacific Ocean on one side and the Sierra Madre Occidental mountains on the other. A former fishing village, it is a picturesque and therefore a tranquil choice for those who want to relax, while also providing outdoor sports and adventures for those who like a more active break. This makes it a perfect choice for large weddings with guests of various ages with different interests. 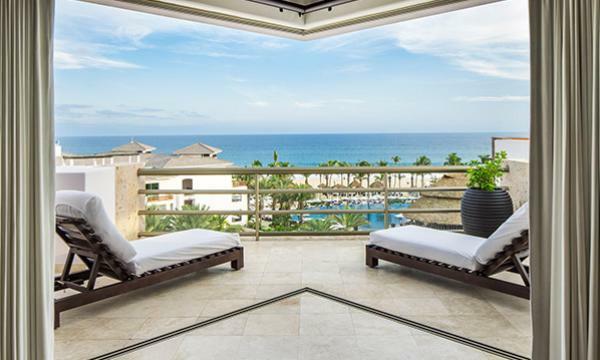 St Regis Punta Mita is a luxury resort in the region, which offers beach weddings for up to 500 guests, or a fairy-tale ball wedding in its Astor Ballroom for up to 170 guests. As part of the wedding experience, all guests get St Regis Butler service while staying on the property. Other attractions for guests include two Jack Nicklaus Signature Golf Courses, tennis courts, three infinity pools and a luxury spa. I hope our run-down of five luxury Mexican wedding venue has helped with your wedding planner. If you need someone to plan the big day – call us! The Snowdonia Cheese Company recently made headlines by gifting Prince Harry and Meghan Markle a wedding cake made entirely out of cheese. The cake, presented to the couple on a visit to Wales, isn’t your typical cheesecake. 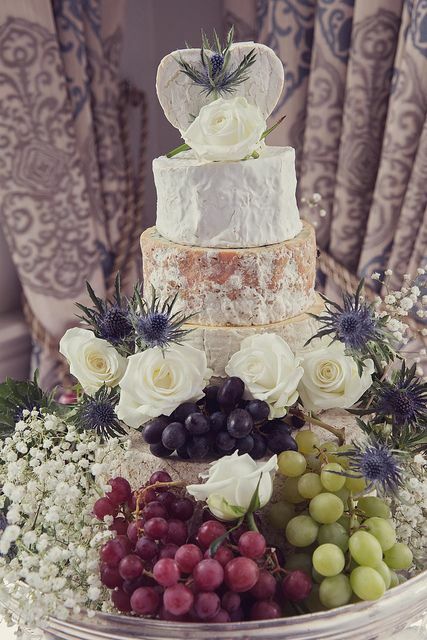 It’s a tiered cake where the layers are made up of a variety of cheeses – Beechwood, a smoked cheddar; Red Storm, a vintage Red Leicester; Black Bomber, an extra mature cheddar; and Green Thunder, a cheddar with garlic and herbs. Such alternative wedding cakes have been popular for a while, particularly for couples who don’t like cake, or want to keep the budget down. These savoury cakes work well served as part of an evening buffet, but be careful when choosing your cheese to avoid anything too smelly. Stacked pies also work well, or a mixture of pies and cheese, decorated with fruit and fresh flowers. The naked wedding cake has been around for a while and is still a hot trend for 2018. Rather than the focus being on the outer decoration, here the beauty comes from the texture and colours of the cake, with the various sponge flavours, and the frosting and fruit between the layers visible. One issue with a naked cake is that, without a protective fondant layer it dries out quickly and can’t be stacked more than 24 hours before its needed. 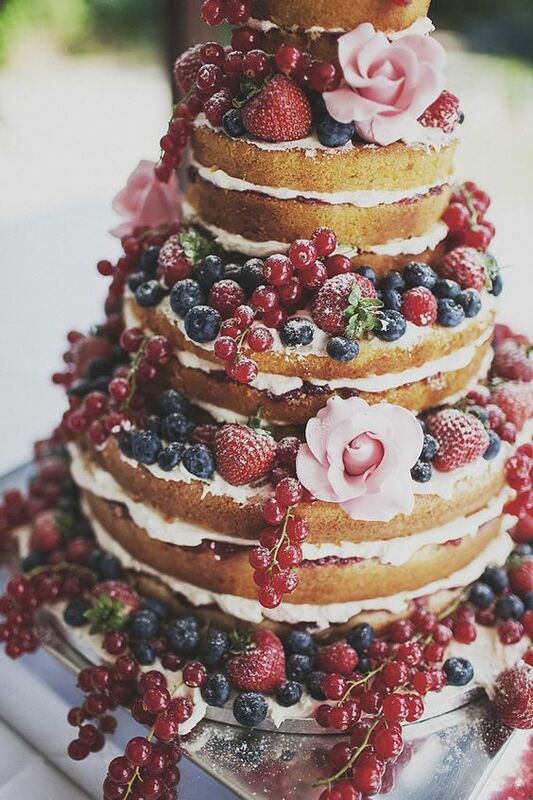 The semi-naked cake, keeps this popular trend going, with a twist. This style uses a light layer of buttercream, which means the delicate sponge layers are still visible beneath but the cake doesn’t dry out as quickly as a fully-naked cake would. Depending on the date of your wedding you may opt for fruits and flowers to match the season. Mixing-up naked and iced-layers is also likely to be popular, to give a semi-formal look that is still has a natural feel. Number three on the list of 5 top wedding cakes trends for 2018, is the painted cake. Yes…painted! All couples want to personalise their cake in some way. And there are few better ways than a bespoke, hand-painted icing. This is a trend I’ve no doubt we will see more of, with designs ranging from muted watercolours, to bold geometric graphics. Hand-painted art cakes can not only be striking and colourful, they can be another way for the bride and groom to express their love through a quote beautifully scripted on the icing for all to see. When choosing a wedding cake there is so much choice it is often difficult to know what is the best for your big day. For those who are struggling to decide, multiple cakes can be a great option. It means you can choose cakes of multiple flavours and designs. Displaying each tier separately also allows you to cater more easily for food allergies and intolerances, as well as getting to display them on a range of beautiful cake stands. One huge plus of multiple cakes is they are much easier to transport in comparison to a large tiered-cake. However, don’t choose this trend hoping for a cheaper option, because in many cases it won’t be. 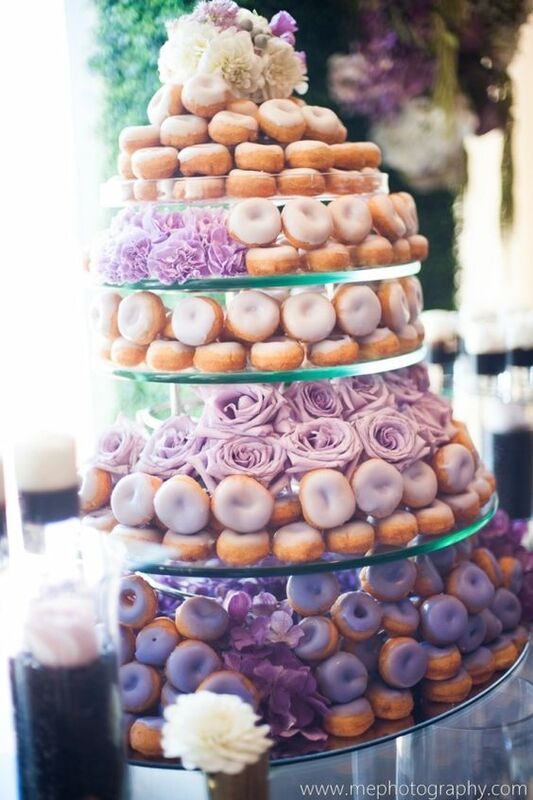 The popularity of Krispy Kreme has led a trend for doughnut towers, which provide a quirky alternative to the traditional tiered wedding cake, and in comparison, is easy on the budget. There are all kinds of fun and colourful designs to choose from. 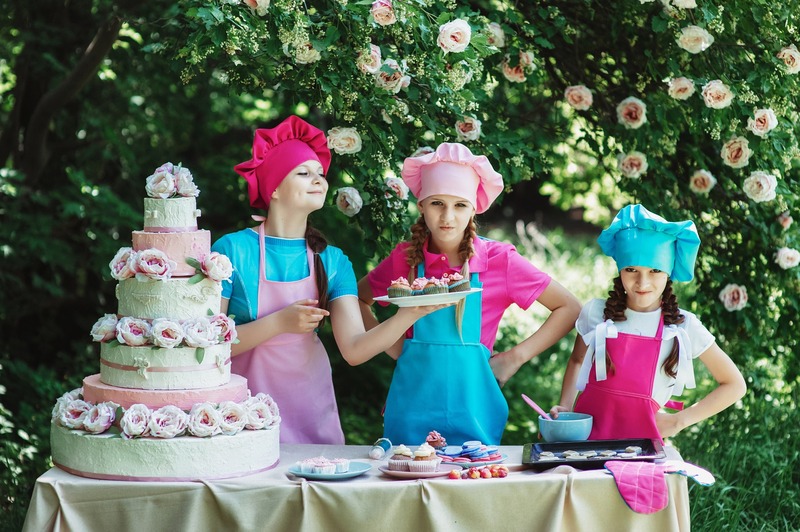 In many ways the idea is a twist on the wedding-tiers made-up of individual cup-cakes, and is an easy way to offer guests an individual sweet treat with a choice of flavours. Some bakeries have taken the trend for doughnut-shaped towers a step further, keeping the contemporary doughnut look, but using cakes baked into ring shapes. Or you can always mix up this trend with the traditional by opting for a traditionally iced cake as the top-tier on a tower of doughnuts. The days are getting colder, and shorter. 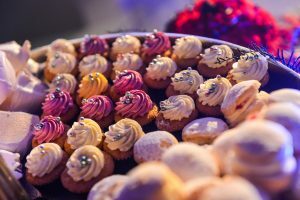 It’s time to turn attentions from the autumn traditions of Bonfire Night and Halloween, to planning your dinner parties, office parties and family celebrations at Christmas. And we love it! 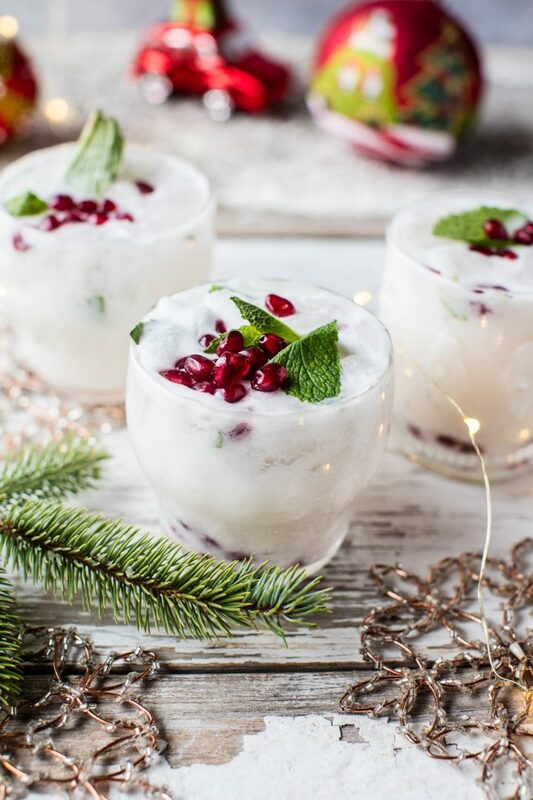 If you are looking to change things up this year, make a statement, or simply create something a little special – the easiest way to WOW your guests is with a great selection of festive cocktails. That’s why we have created our collection of ‘six festive tipples to impress guests this Christmas’. With something to suit the most discerning of guest, you cant go wrong! All strudel is best served hot with cream and this cocktail is no different. Served with a deep lip of double cream, it’s a warming, fruit mix of Pimm’s Blackberry and Elderflower, and apple juice, with nutmeg and cloves to give a spicy kick. See House and Garden magazine for the full recipe. There is nothing like the aroma of mulled spices to warm the heart with festive cheer, and it is a must for our list of six festive tipples to impress guests this Christmas. 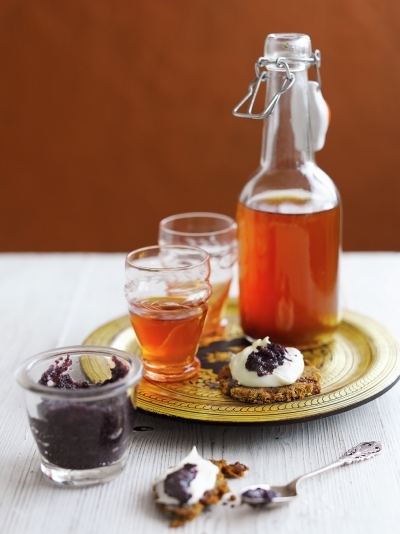 For a twist on the usual mulled wine, serve guests a steaming mug of mulled cider. Depending on where you live, you may be able to add a special touch by sourcing the base ingredient from a local cider brewer. Add to the pan a splash of brandy, apples, oranges, allspice berries and cloves. Stir over a low heat for 10-15 minutes for a beverage that appeals to so many senses, no-one can resist. Read Delicious Magazine for the recipe. To whoever thought of combining the comfort of Christmas pudding with a cheeky splash of vodka – we salute you. At TLC we love this rich combination of clear spirit, fruits and rich spice. Although simple to make, you need to factor in 3-4 days infusion time, to allow the warming flavours to emerge. However, once made you can bottle up and store for up to a year – if you can resist it for that long. See Jamie Magazine for the full recipe. At TLC we like to think of eggnog as traditional rather than old fashioned. There are good reasons why this drink has been served for 400 years. And, as with all traditions, there are plenty of ways to bring this festive favourite bang up to date. The basic ingredients – eggs, sugar, milk and cream stay the same. Although usually made with a rum or brandy, this version uses a good spicy bourbon and Cognac, along with a range of spices to add a modern eggnog flavour. While there are plenty of shop-ready versions, nothing beats the flavour of a home-made eggnog. And since it takes only 30 minutes in the kitchen to create, there really is no excuse. Visit thespruce.com for this and other variations on this 17th century favourite. When choosing what festive drinks to include on our list of ‘six festive tipples to impress guests this Christmas’, we didn’t forget to include something special on the menu for those not drinking alcohol. 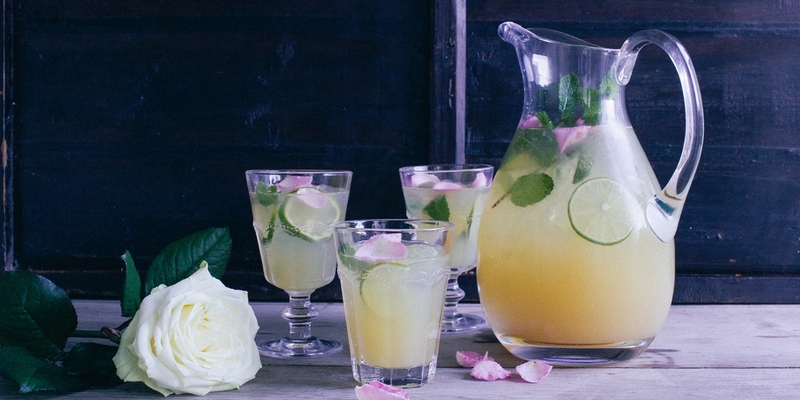 We love Georgina Fuggle’s rose water, apple and rhubarb mocktail. Even the name is mouth-watering and tells guests you have put thought and care into serving something delicious. Indeed, the preparation of this delicate drink takes attention, with the rose petals needing to be painted with egg white, sprinkled with sugar and left overnight. The emerging floral fragrance mixed with the sweetness of the apple and the slightly sour taste of the rhubarb, combine for a subtle mix of flavours in a gentle pink hue, adding elegance to any party. Hope you have enjoyed our list of six festive tipples to impress guests this Christmas – just time to sit back and enjoy them! Is it really two months since the clock struck midnight and a % of romantic males and females got down on bended knee! Has February really come around so soon? The month of romance (if somewhat a little contrived on occasions) and for me, one of the busiest of the year. 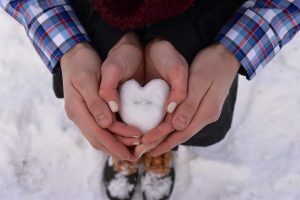 Planning actual wedding proposal events, as opposed to the wedding itself, is a relatively new concept but one that is booming – it’s one of the latest Wedding Style Tips that we love the most! Couples are looking to combine something romantic with something bespoke. A memory that will never date. The lead up to that big day – start in style! February precedes the months ahead when brides and grooms are finalising their wedding plans and are looking to me for inspiration! 2016 was all about historic venues, large events and traditional wedding concepts. 2017 will see an emergence of a different kind of wedding combining some of the above with the eclectic boutique, stylish, fun. Couples arrive at HQ with either a long-held dream for their wedding, which I then transform into a reality, or the polar-opposite – waiting to be inspired and excited! As a planner, I have to be in tune with the excitement, the emotions, the restrictions and the expectations. I work closely with each couple to draw-out what their vision of the big day really looks like, or design a wedding concept around their individual personalities to create something that floats their boat – big time! A wedding should always capture something of the couple’s uniqueness, a sense of fun and that priceless touch of TLC! 1 – Small and beautiful. Intimate wedding making the most of boutique hotels, rooftop gardens and private residences. 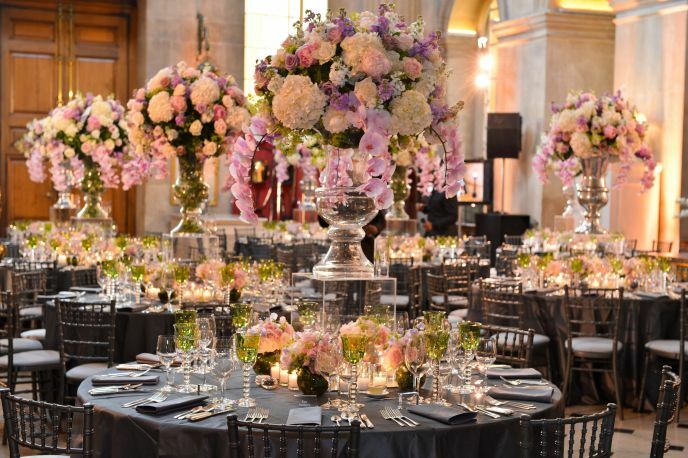 Infused with your own individual personality these small weddings will allow couples to keep wedding lists to closest family and friends, and invest in more luxuries in the catering and entertainment for a stylish day. 2 – Industrial chic. A trend started in 2016 and set to continue. The architectural grandeur of warehouses, urban lofts and even Victorian pumping stations are a striking backdrop. 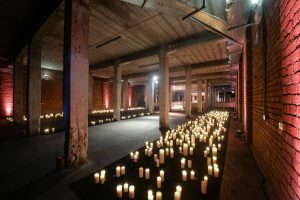 Capturing the trend for strings of Edison bulbs hung above rustic wood and tarnished metal, imperfect, rough brick walls washed with theatrical lighting to add atmosphere, a blanket of oversized candles celebrates the space and marking the entrance – the luxury of industrial buildings is set to continue. 3- Put your name in lights. Oversized letter-lights spell out a happy day, are a perfect focal point, and light up industrial décor. In a softer garden setting they twinkle amongst the bushes! 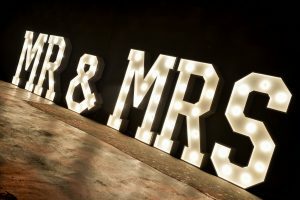 Choose your backdrop – a rusty metal styled finish on the lights or a stark support to the lettering, and they will work perfectly. 4- Time to Savour. Sharing plates or tapas style dinners are very much on trend. Long tables lend themselves to an assortment of dining options, both formal and informal. Unsophisticated foods, cooked to perfection and creatively presented. Polished tables and an eclectic mix of painted chairs or benches with brightly coloured cushions and throws. Bo-Ho, barn, continental or cutting edge! 5 – Sweet Tastes. Wedding cakes will always be a key part of a wedding, but 2017 sees the increasing emphasis on a dessert table, rather than just the cake. An ice cream bike, a mountain of chocolate, a tower of brightly coloured macaroons. 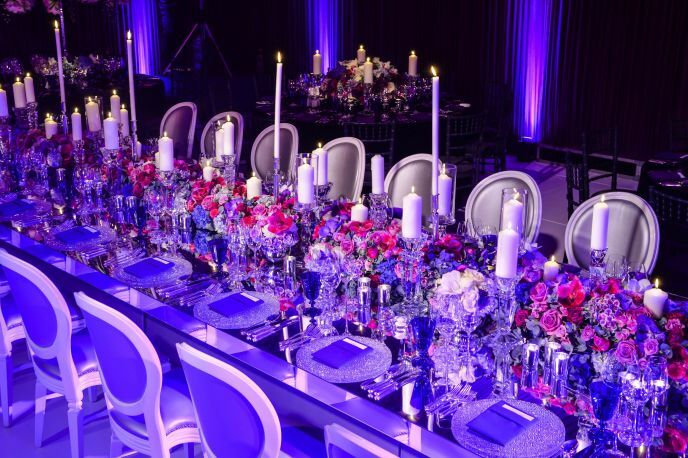 Theatrical centrepieces combined with dessert– utter bliss! 6 – Brunch weddings. Pancakes stations, omelettes cooked to order, Bucks Fizz, delicate smoked salmon and cream cheese on a bagel. Strut down the aisle early, follow with a brunch party and jet off on honeymoon that night! A favourite for the more shy and discreet, especially for smaller weddings and second or third time romance finders! 7 – Trucks, trucks and more trucks! Fresh coffee, wood fired-pizza, burger sliders and ethnic favourites, are hugely popular. The choice is mouth-watering, from VW camper gin bars, to traditional fish and chip vans, vintage bus wine emporiums to afternoon teas! Great as the main event, and even better for those evening guests! Start the engine! So, they haven’t proposed to you yet? Here’s your moment. Leave this page open on the coffee table……if they take the hint, call me!